A common topic in internal communications media and circles is employee engagement. On a daily basis, I come across numerous pieces of content that consult on the often-elusive achievement of satisfactory employee engagement levels, usually evidenced by survey results as well as reduced turnover (not to mention reduced absenteeism and staff voluntarily going above and beyond in many ways). There seems to be consensus that striving for heightened employee engagement is a justified endeavor for all sorts of organizations. The ROI is certainly there by way of reduced turnover and therefore reduced recruiting costs in addition to the cost associated with un-engaged staff who stick around and sometimes costs the organization more money than if they had left. 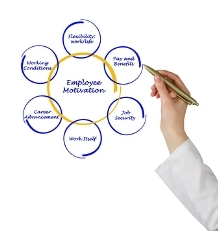 For healthcare in particular you can add shortage of quality clinical staff to the multitude of motivations for keeping employee engagement top of mind. As one can imagine, determining the formula for success in improving employee engagement is not one-size-fits-all. Although a common element is one that is true for most other projects—what you get out of the project is directly correlated to what you put into it. Certainly, there is room for various sorts of accolades for staff, whether ceremonious “Employee of the Month” style recognition or more informal Kudos, where staff often recognizes one another for going above and beyond and the recognized employee is held up as an example via internal communications outlets. Some organizations have programs where staff can earn points or badges for specific accomplishments and good-natured competition that goes along with gamification ensues. An interesting point is that there seem to be as many recognition programs that use financial incentives as those who do not. It is noteworthy that financial incentives alone are not what motivate employees—simply the recognition for its own sake is a formidable motivator. In planning for an employee engagement initiative, it is clearly important to ask staff what they think—what would motivate them—what ideas do they have for a recognition program? Often, what is motivating is not recognition, but simply the ability to contribute and have a say. A wise man (Brian Lee of Custom Learning Systems, if you were wondering) once told me “Authorship is Ownership” in a conversation about what cultivates service excellence in frontline staff. I have found myself using that incredibly simple one-liner over and over because it is so true, yet often overlooked. I recall an example from Brian’s Healthcare Service Excellence conference last year in which a night-shift employee, respiratory therapist I believe, made a simple yet intuitive suggestion that the hospital embraced, then put into practice. This was just one illustration of how frontline staff by the nature of having been “in the trenches” has great ideas for ways to make improvements. This context is presented to get to the point that in all the content out there today about employee engagement, it is rarely explicitly linked to patient satisfaction. While there is great benefit to the other byproducts of increased employee engagement, isn’t improving patient satisfaction an outcome that should be a goal unto itself? For rural hospitals, impeccable patient satisfaction is especially important in today’s environment where too many rural residents drive past their community hospital to a bigger hospital in an urban area. At HospitalPortal.net we are often inspired by the innovative initiatives our clients carry out. In the arena of employee engagement, a few specifics that come to mind are allowing staff to submit often breathtaking community photos, all sorts of contests and polls, the ability to comment on news and announcements, peer-to-peer recognition, and the ability of staff and leadership to blog to name a few. Among my personal favorites are videos produced by hospital staff to highlight some project or another. Aside from providing important information in an engaging way, they always seem to make people smile. What employee engagement initiatives has YOUR hospital implemented? Have you seen the impact on patient satisfaction scores? I invite you to share your comments and ideas.